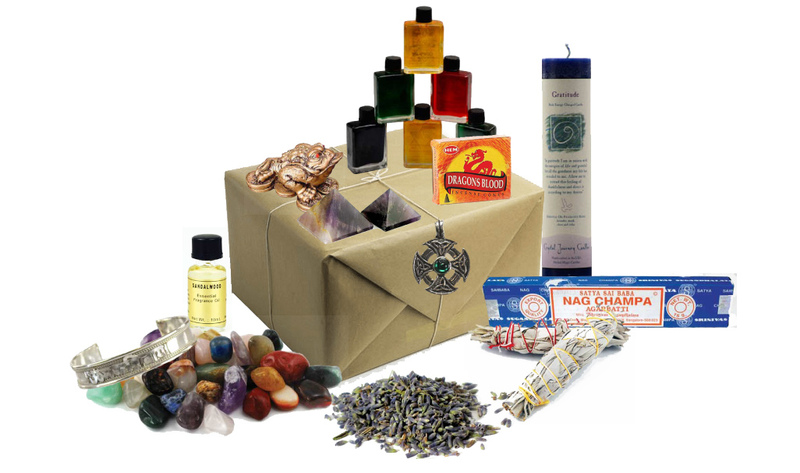 It's a monthly mystery box filled with wonderful metaphysical, holistic & "new age" items. Items are great for meditation, herbal remedies, rituals, decorating, gift giving & more! Fun way to re-stock items that you might run out of every month like herbs & incense. Also a great way to sample a variety of items. Not sure what you need to buy for your metaphysical needs? New to the whole thing? Mystery boxes are a great way to get a little bit of everything! Perfect way to sample products & new items. Wonderful surprises in every box! Boxes are always valued at more than you pay! NEW Rock Box! Small flat rate box filled with stones & crystals. This box can include but not limited to tumbled stones, raw stones, minerals, fossils, stone beads or jewelry, cabs & slabs, & more. This is like our popular grab bags only more rocks! Incense only box: Box will be full of assorted incesne from all over the world. Great way to stock up on incense. 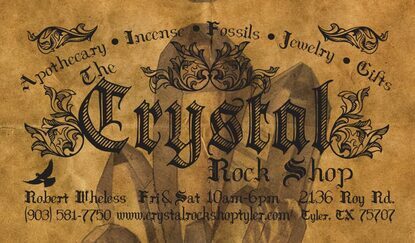 You will get a large assortment of sticks, cones, resin & other types of incense. Please let us know if you have any allergies or it there is a sent you do not like. Herb only box: Box will be full of assorted herbs. Around 6 oz (no less than 6 oz) to a full Lb (16 oz) of assorted herbs. Great way to stock up or if you don't know what herbs you need. We will e-mail you details on each herb & it's use. Please let us know if you have any allergies or it there is a sent you do not like. Herb & Incense Mixed box: Box full of herbs & incense. All items are picked at random. Great way to sample different herbs & incense. Please let us know if you have any allergies or it there is a sent you do not like. Normal Mystery Box: This box will be full of all kinds of cool items. Each box will contain at least one piece of jewelry. Other random items in your box can include but are not limited to: Incense, oils, herbs, stones, small boxes, small statues, magnets, stickers, bottles, bags & more! Please let us know if you would not like any Wiccan themed items. Large Mystery Box: This super box will be stuffed with tons of items. Each box will contain at least one piece of jewelry. Other random items in your box can include but are not limited to: Tarot decks, books, stones, incense, oils, bags, statues, bottles, herbs, boxes, wall hangings, wind chimes & more! Please let us know if you would not like any Wiccan themed items. Shipping is included in the price of the monthly box, shipping is extra for the one time box & depends on the size of the box. We ship these to the US only, if you're outside the US please contact us for a shipping quote. Or if you just want to try out a box use the option below for a one time box without the subscription. Shipping is not included in the price on the one time box.